When we were first trying to learn this prayer together I thought about all the things my kids could do for 20 minutes (eat at a restaurant, watch tv, listen to a story, play a computer game, etc.) and I naturally assumed that this attention span would easily transfer to other activities. I pictured a focused, reverent, consistent prayer time and maybe (just maybe) imagined what a good Catholic parent I was turning out to be. Yay me! The reality was more along the lines of chaos with a slight resemblance to prayer. A couple kids moved in and out of saying the words they knew while another traveled around and around the pattern in our braid rug to the beat of her sing-song version of Hail Mary. And, if I recall correctly, there was another child at the other end of the house crying, “No wanna pway!” Yep, so much for focused and reverent. As far as consistent went, I’m pretty sure my own lack of discipline was the end of that dream. It was a little while before we attempted it again, and when we did it looked a lot different. This time instead of starting our regular morning routine, I had all of my kids (all still Family Formation age or younger at that point) just start the morning in bed with me where we prayed 7 Our Father’s, 7 Hail Mary’s, and 7 Glory Be’s before breakfast. I have no idea where that number came from, but starting our mornings praying The Sevens turned out to be a very successful way for us to learn the prayers and to establish a consistent morning prayer time, and this particular combination and repetition of prayers turned out to be a pretty effective transition into a real Rosary later. And that’s what this lesson is all about – setting your family up for success! Some of this lesson is going to sound familiar because you just did the lesson on Marian Apparitions. The story of Lourdes is repeated here as well as Mary’s constant reminder to pray the Rosary. 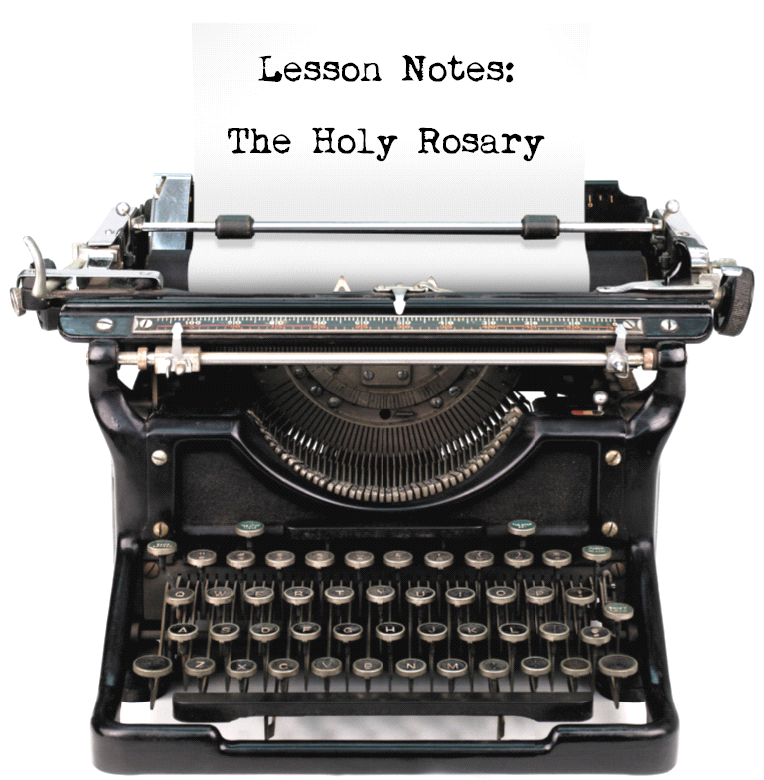 In addition, this lesson has a little history as well as some practical stuff like the structure of the prayer (5 sets of 10 beads, particular mysteries to think about, etc. ), and how all of the basic prayers fit together into the one prayer we call the Rosary. 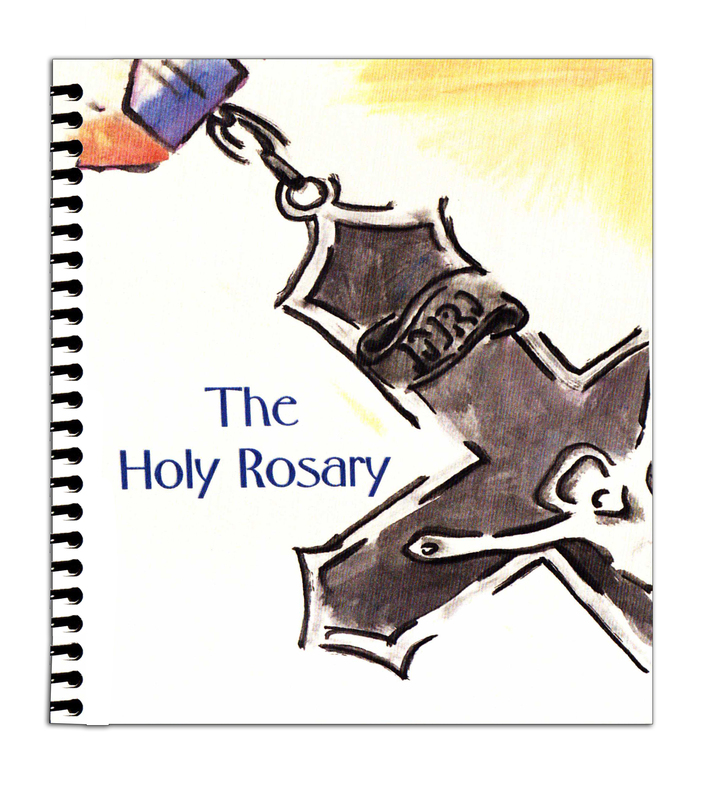 This is all stuff that is helpful to know, but the whole point of the lesson is to actually help your family to pray, and that’s where the Praying the Rosary as a Family booklet come in. 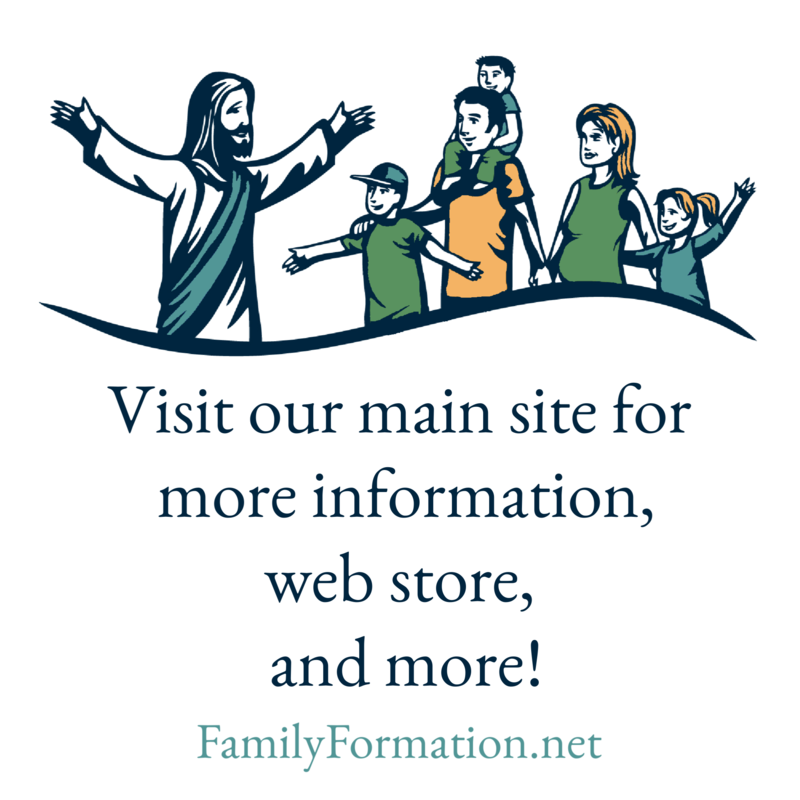 It’s full of ideas that work, contributed by lots of Family Formation parents over the years. We’ve divided them up into practical steps that can be used by everyone from those who have never prayed the Rosary to experts. A picture of what’s happening. Perfect for little ones or anyone who would benefit from a visual element as they’re moving through the Hail Mary’s. There’s nothing quite like a picture to help maintain focus! Scripture describing the Mystery. Yes, Marian devotion can be very scriptural and really, the whole point of the Rosary is to connect us better to Jesus. Each mystery also has a paragraph describing exactly what is happening. Perfect for auditory learners or anyone who would simply like more insight into the event. Finally, each of the Mysteries also has a short list of related prayer intentions. I think you’ll find that these really help to make the Mysteries relevant to your life and they present good ways to personally enter into the prayer. May God bless your efforts as you continue to work on this through the summer and we would love to hear your success stories, no matter how small, as they pop up. Previous Pray the Rosary with us!